That’s an amazing photo! It looks like a painting! Did you take that? Yes, I did, thank you! Glad you like it. The flash blacked out the background. 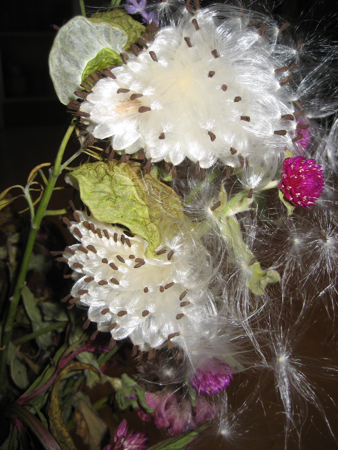 The bunch of flowers died slowly over two or three weeks and i just loved watching the seed pods open.